Getting occasional dental X-rays is a vital part of allowing our Sohn Dental team to properly care for your teeth. And don’t worry—dental X-rays are safe. To get the needed pictures, they expose you to extremely low levels of radiation. Fortunately, with modern science, there are also many tools and techniques, like digital X-rays and leaded vests, designed to even further limit your body’s exposure to radiation from dental X-rays. Should I Get a Dental X-Ray If I Am Pregnant? Maintaining your dental health is especially important if you are an expectant mother. Dental X-rays may be necessary to perform certain emergency dental procedures, and they will help Dr. Sohn accurately identify any oral health issues that develop from or were exacerbated by bodily changes during your pregnancy. For example, hormone levels rise during pregnancy, which can cause pregnancy gingivitis, in which your gums swell, feel tender, and bleed when brushing and flossing. Additionally, if you experience morning sickness or your diet includes more simple carbohydrates than usual, you are at increased risk of cavities. According to the American College of Radiology, no single diagnostic X-ray has a radiation dose significant enough to cause adverse effects in a developing embryo or fetus. With proper shielding of the abdomen and thyroid, dental X-rays are considered safe for pregnant women. Be sure to tell us if you are pregnant, even if you only think you are, and consult with Dr. Sohn and your physician whether dental X-rays should be postponed until after your child’s birth. Learn more about pregnancy and your dental concerns here at MouthHealthy, a website by the American Dental Association (ADA). 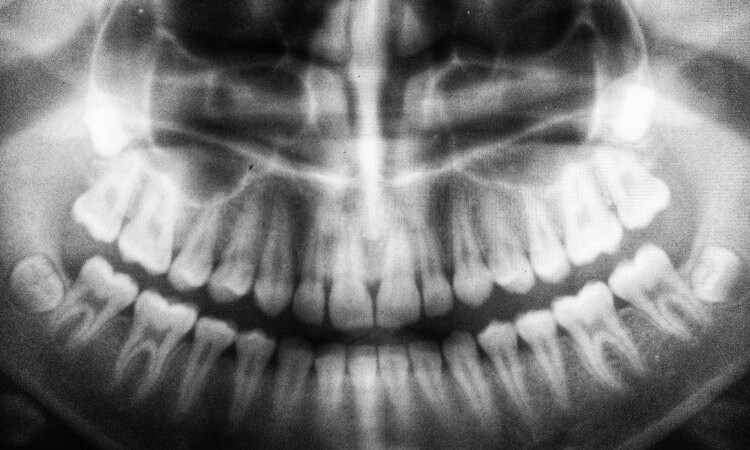 To protect your oral and overall health, we utilize our professional judgement and the X-ray publication put forth by the ADA and the U.S. Food and Drug Administration (FDA), Dental Radiographic Examinations: Recommendations For Patient Selection and Limiting Radiation Exposure, to determine if you need diagnostic imaging. We want you to feel safe and comfortable at our office. If you have other questions about the safety of dental X-rays, ask our Southlake dental team at your next appointment. We hope to see you soon! Contact us to schedule your visit today.